Search All Jack's Peak, Carmel Real Estate Listings of Homes for Sale plus foreclosures, short sales and Jack's Peak Carmel information on one easy to use site. 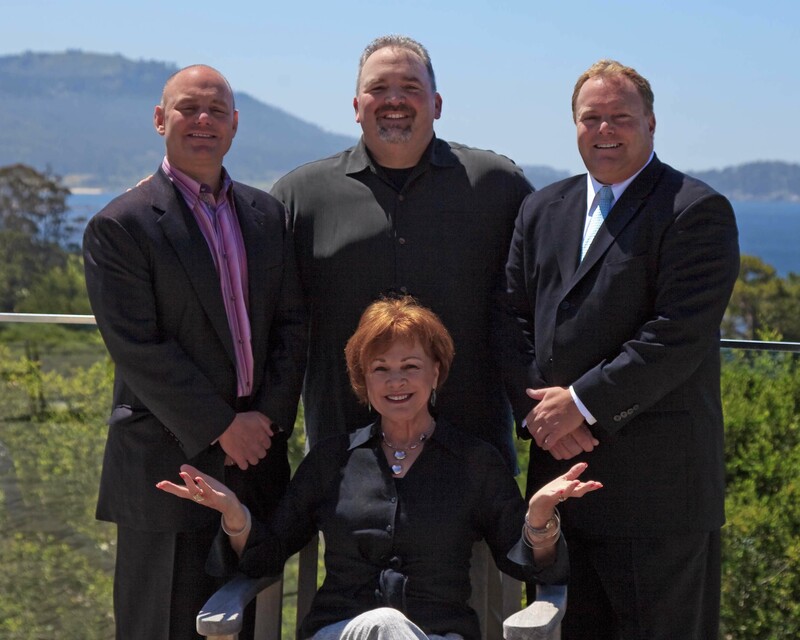 Jack's Peak real estate is some of the best real estate in all of Carmel and the Monterey Peninsula! It is no surprise that some of the wealthiest local community members have build homes in the Carmel hills of Jack's Peak which has incredible views of the Monterey Bay as it sweeps around from Cannery Row to Santa Cruz. Much of the real estate in Jack's Peak consists of large luxury estate homes on very large parcels of land. Jack's Peak in Carmel is located east of Highway 1 along Aguajito Rd. near the Pebble Beach Gate where HWY 1 and HWY 68 (the Pacific Grove Cutoff) intersect. Jack's Peak is the highest peak in all of the Monterey Peninsula reaching up to 1068 feet above sea level. The peak is names after a famous land owner in the early history of the Monterey Peninsula named David Jack. Born in Scottland, Jack came to California during the Gold Rush and through some luck ended up purchasing several thousand acres of Monterey area land which included what is now the cities of Monterey, Pacific Grove, Del Monte Forest (Pebble Beach), Seaside, Del Rey Oaks and Fort Ord! The city of Monterey actually sued him over this purchase, but it was upheld by the Supreme Court in 1903. He was quick to loan people money for land in the form of a mortgage and was even quicker to foreclose on them if they didn't pay. Obviously this didn't earn David Jack a very good reputation. As a side note, Monterey Jack Cheese is said to be named after David Jack. Property owners in Jack's Peak will enjoy more sunshine and less fog than other parts of Carmel. Being the highest point in the area, Jacks Peak seems to be the first area the fog starts to retreat from making it ideal if you prefer more sunshine although when the fog is in, you will be living in the clouds and it will resemble a rain forest. Like other areas nearby, Jacks Peak offers quick access to downtown Carmel by the Sea, Monterey, Pacific Grove, Pebble Beach or the highway. The 5 latest listings of homes for sale in Jack's Peak are below. For a full list of everything that is availble in this sought after neighborhood, click the "Click Here" box above, build an advanced search or contact one of us and we can do it for you. 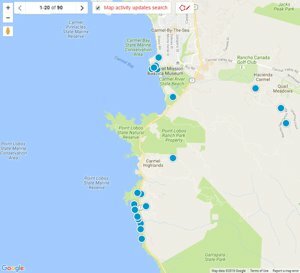 Our website has detailed information including Jack's Peak real estate statistics if you are interested in learning more about real estate values in this Carmel, CA neighborhood. If you are interested in seeing homes for sale in the Carmel Meadows area, contact us.